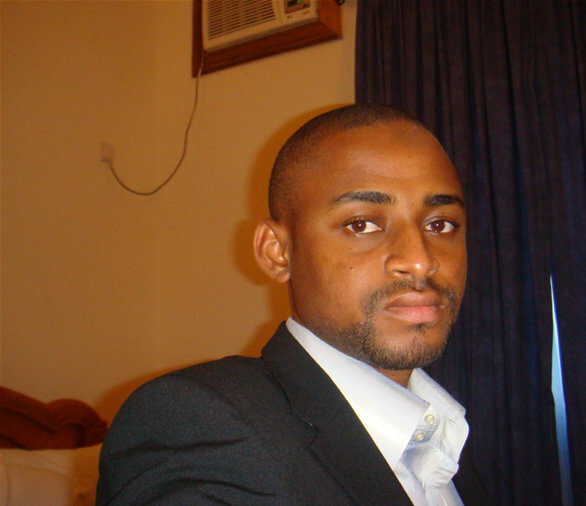 We’re delighted to be awarding a grant of £7000 to the Cocreation hub in Nigeria to support Zubair Abubakar in developing his Nigerian Constitution App for use on other platforms. 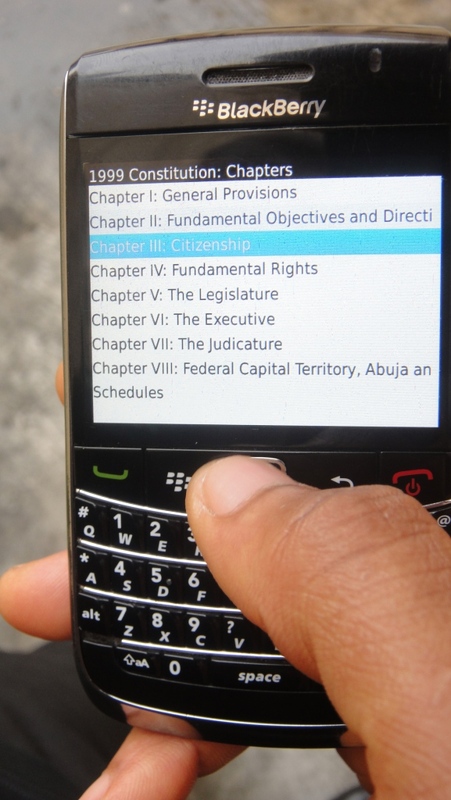 The Nigerian Constitution App is a simple tool that aims to leverage the penetration of mobile phones in Nigeria to provide on go the access to the Constitution of Nigeria. A well-organized blackberry version of the App can be found here. ‘I believe with the Constitution App in the hands of millions of Nigerians in and outside the country, we would be more enlightened about our rights as stipulated in the constitution. I like to think of myself as a social entrepreneur, I am always interested in high impact solutions. Thus, I developed the Constitution App because I felt that as citizens we need to have the constitution handy and be enlightened about the most important laws that govern us. And I am glad the acceptance has been great, so far it has been downloaded 27,530 times and still counting. For the future, I believe mobile technology shall be a transformational tool in Nigeria and Africa at large. I would like to leverage that to create a platform that would enable mobile solutions thrive. Zubair’s App is interesting being utilised by the legal profession, who are constantly referring to the constitution as part of their work and now have easy access. We wish Zubair the best of luck in his endeavours.